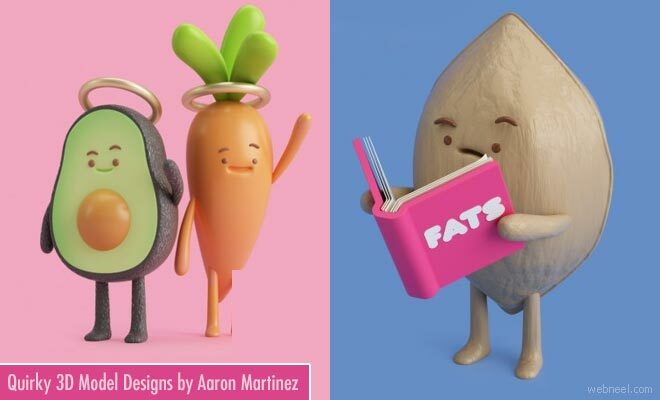 3D Models : Aaron Martinez is an Mexican artist and graphic designer who has a crazy passion to create fanciful illustrations. Cute and admirable series of 3D illustrations created for women's health magazine by Aaron is bringing life to all food items. He has a unique playful and humorous 2D and 3D illustrations which doesn't match with anything around. Aaron has the capacity to turn even the most unusual item into an extra-ordinary and vibrant character. Along with creativity he has exceptional talents in illustration and graphics which helps him in creating an angry cake to a happy avocado. Aaron has elaborate knowledge in 3d Model designs which can be used in advertising, editorial and publishing.